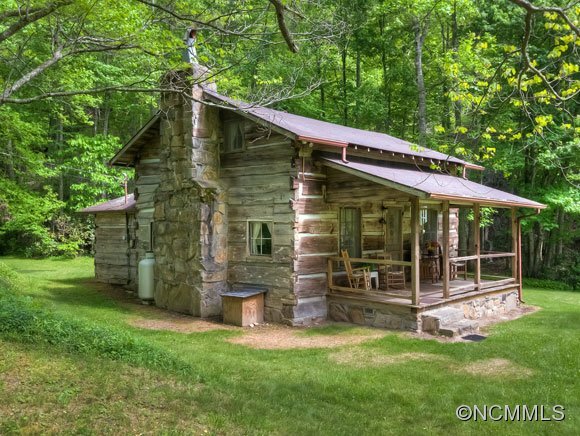 This newly-listed log cabin is an Asheville paradise. This well-kept Asheville area log cabin, now known as "Annie's Cozy Cabin" also can continue as a vacation rental. Currently managed by Greybeard Rentals, this home has an excellent rental history with numerous return guests. With its wood paneling interior and its log exterior, this smaller home fits nicely in the natural setting. Constructed in 2007, this one-story home with a private well has just been listed and should sell quickly. For more information on this newly-listed home, please contact Greybeard Realty. Take a look at Greybeard Realty's vacation homes for sale and read over Greybeard's information on buying a vacation rental home. Isn't it time for you to have your own mountain escape home? Imagine a log cabin, four acres of beautiful land including pasture, two creeks and a pond all within easy access of Asheville. Now view the listing on our website for MLS #53995 and see that image in your mind become reality. Special log cabin can become home of your dreams. This well-maintained cabin in Fairfield has come on the market and offers its buyer a chance to experience an authentic log cabin experience. The cabin logs, more than 200 years old, originally stood in McDowell County but were moved to Buncombe County in the 1950s. In addition to the main structure, the property includes two outbuildings. The present owners have included some of the personal property, with specific exclusions, in the sales price. This secluded cabin has two bedrooms and a fireplace. Sit out on the covered porch and enjoy the pasture land wildlife. It's away from it all but close to everything. To get a sense of the experience this unique property offers, check out the virtual tour of this property. After watching it, see if you can imagine yourself walking through the spotted sunlight among the tall trees on the property. Can you see yourself heading out through the screen door to sit on the porch rocker with your morning coffee? Is this the Asheville area mountain escape you've been searching for? 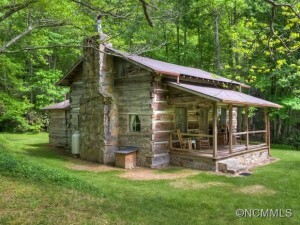 This or another Western NC log cabin can be your own mountain escape or may make a great vacation rental property for you to have until you're ready to retire and move in full time. It's an exquisite mountain retreat that fills many of the prerequisites for NC mountain vacationers. Contact Greybeard Realty to tour it and see if it is the home of your dreams.